Many of your clients are baby boomers (now ages 50-68) moving into retirement and dealing with all the issues related to aging: elderly parents, kids in college, saving enough to last a lifetime and protecting what they have. With a dizzying array of financial instruments to choose from, complex federal and state laws governing estates, and the crisis in health and long-term care, your clients need your help more than ever to develop an effective plan for their senior years. By 2050, the U.S. Census Bureau predicts there will be 86.7 million citizens age 65 and older living in the U.S., and they will comprise 21% of the total population. It predicts the number of people in the 65 and older age group will grow by 147% between 2000 and 2050, compared to 49% growth in the population as whole. Waiting to plan for the “golden years” is no longer a viable option. Your clients need to look far into the future and develop an estate plan that will help them maintain their desired lifestyle and protect assets from a variety of risks, including the rising costs of care. We have identified three key strategies that can help your clients navigate the minefield of aging, and focus on a successful retirement. The number one long-term concern of most clients is running out of cash as they age. No one wants to outlive their assets, but without pre-planning that could easily happen, especially if there is a medical crisis or chronic illness. Clients need to take care of themselves first, ensuring their income throughout retirement before worrying about the distribution of their estate. On an airliner, passengers are instructed that if the yellow oxygen masks drop, they must first put their own mask on and only then assist others. Only when your client is breathing comfortably about the future can plans be made to transition wealth to beneficiaries. · What are your sources of income in retirement, and if married, do they continue for your spouse? · Do you plan to stay in your current home? · If so, do you have enough funds to do that? · If not, where do you plan/want to live? · Will you have any dependents living with you (parents, special needs children)? · What would put your plan at risk? · What about a medical crisis? · Who will take care of you? · How will you pay for it? Answering these questions gives both you and your client a starting place to discuss creating the right estate plan. It is also an excellent place for financial advisors and estate planning attorneys to work together to ensure that income and assets are properly structured and protected. With the increased focus on income tax issues, CPAs are integral in capturing business opportunities to help clients protect their assets, smoothly transition estates and reduce tax liabilities. It used to be that tax laws didn’t change very often, and established estate plans didn’t need to change year over year. However, since 2000 the federal estate and gift tax exemptions have changed almost yearly. Other federal and state laws governing income, estate and gift taxes have changed as well, with increased income and capital gains tax rates imposed on January 1, 2013. While on the surface it appears that we have entered a period of stability, at least for federal estate and gift taxes, given their history and the federal deficit, it seems likely that the tax laws are only going to get more complicated, burdensome and complex. Diligent advisors offer guidance and educate clients regularly about any changes to the laws that could impact their estate plans and tax liabilities, and “best practices” include a team approach. What a client might need in an estate plan when they are in their 50s and 60s can be very different from what they need in their 80s and 90s. Although accountants and financial advisors meet regularly with clients, most attorneys do not. As laws governing Revocable and Irrevocable Trusts, taxes, Medicaid, VA benefits and health care change over time, and your client has personal changes that could seriously jeopardize his or her estate plan, ongoing counseling is required. For estate planners, setting up an annual maintenance program with your clients, and working with an interdisciplinary team that includes a financial planner, CPA and attorney, keeps you up to date on best practices and ensures that your clients’ estate plans are current. No one plans to have a medical crisis, but without a solid estate plan in place before a crisis happens, a medical issue can destroy financial security in short order. The need for long-term care is a looming prospect that gets ever harder to deal with as clients age, with uncovered long-term care exposure creating an insolvency risk for most seniors. With Medicare all but out of the long-term care (LTC) space, and LTC costs escalating, for 95% of the retiring population the greatest risk to financial security is uncovered medical expenses. People are living longer, and often those added years are unhealthy. Consequently, the “elephant in the living room” for retirees is paying for medical care without exhausting assets. A Long-Term Care insurance policy is still the best weapon against a financial disaster caused by a chronic illness or aging. Such policies are not accessible to everyone, however, due to cost, pre-existing conditions and other circumstances. LTC coverage is not guaranteed available by the Affordable Care Act or any other legislation. Moreover, although premiums are “level” they are not fixed, and careful planning is required to tailor coverage and premium to fit the client’s plan. Those able to afford the premiums are well advised to purchase a policy for needed coverage. The cost of assisted living and nursing home care is skyrocketing, and without an LTC plan, a client can be faced with losing all assets acquired through his or her lifetime. Often, for those uninsured, the burden of care falls on a loved one, and because of the complexities and pitfalls of Medicaid, such as the 5 year look-back and penalty provisions, paying privately can result in complete impoverishment. There are many LTC products and options to choose from, like traditional LTC insurance, LTC/life insurance hybrids or life insurance with an LTC rider. You can help your clients find one that fits their needs and enhance your position as one of their trusted advisors – one who helps plan effectively without a focus on selling products, but rather implementing a plan. With increased volatility in the LTCI markets, carrier issues and rising premiums, it is imperative that LTC policies be reviewed regularly and that the policy fine print is understood. When your client is most vulnerable or unable to manage his or her affairs is not the time to find out that a LTC policy has a problem! What if your client can’t afford the LTC premiums or has been denied coverage? Without an LTC insurance plan, it is even more important to consult with an attorney on other ways to protect assets from the poverty requirements of Medicaid and the Veterans Administration. 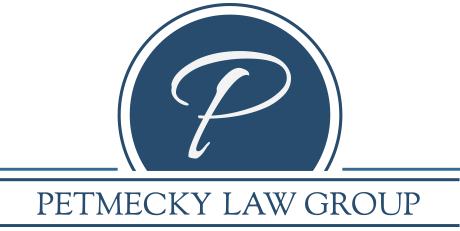 An attorney can construct a plan to create a Medicaid Asset Protection Trust or Veterans Asset Protection Trust, as well as make plans to protect the estate, even if home care, assisted living or nursing home care becomes necessary. The collaboration between LTC insurance agents and attorneys is key, and the opportunities for mutual referral and joint marketing are abundant. As our clients grow older, their medical, financial and legal needs change. For many, instead of worrying about growing their net worth, the new worry is not running out of money before they die. Working in tandem with an interdisciplinary team of professionals — financial planner, accountant and attorney — provides the expertise needed to create strategic estate plans for your clients. In spite of deep experience in their field, no member of the advisor team, whether CPA or financial advisor or attorney, can know all the nuances of estate planning. Each brings specialized expertise to the table. By working together on behalf of the client, the combined knowledge of this interdisciplinary team provides the best possible planning options to protect the client’s estate into the future. And, each team member has the added benefit of gaining referral opportunities to continue to build their own businesses. Acknowledgement goes to Louis Pierro, Esq., founder and principal of Pierro Law Group, LLC, for the content of this newsletter.